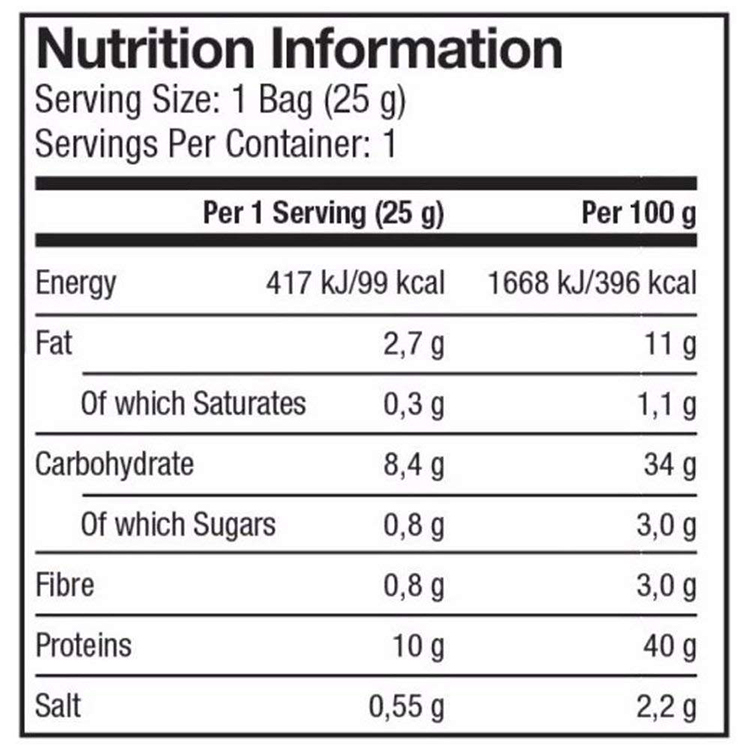 These savoury chips deliver 10g of premium quality plant based protein per bag without using inferior soy proteins. They’re also low in fat with only 0. 8G of sugar. 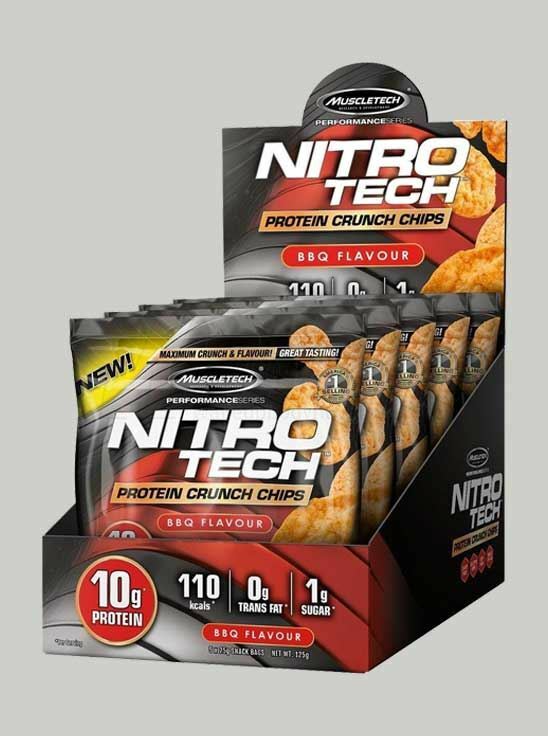 With these quality macros, you can add nitro tech protein crunch chips to nearly any diet so whether you’re cutting or bulking, you’ve got a new, delicious way to get the protein you need for results.